Stephen Curry is playing tonight's game against the Sacramento Kings in the "Floor General" colorway of his Under Armour Curry Two shoe, but another interesting pair was spotted on courtside. 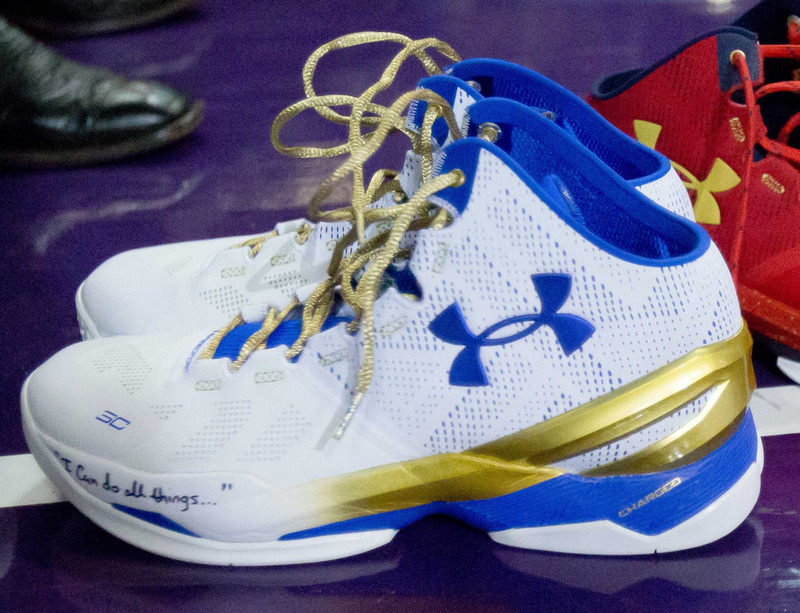 It appears that there's a championship version of the Curry Two, decked out in Warriors colors with metallic gold replacing yellow on the laces and framing. Whether or not this colorway will make it to retail is unknown at the moment, but we'll continue to follow the story for potential release date updates.